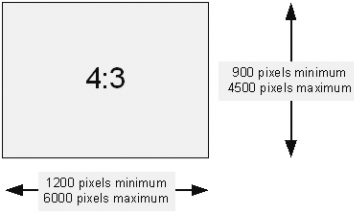 Your photo must meet these requirements whether it is digital or paper. It needs to be taken within the last 6 months. No background shadow. Stand half a metre away from the background so you don't get a shadow. Have a gap around the head. It helps if you can show part of the shoulders and have space above the head. Eyes in full view. You can wear glasses but the rims cannot hide part of the eyes. No glare. If your glasses create a glare, take them off. Face in full view. Nothing (like a hat, hood, scarf) should hide any part of the face. 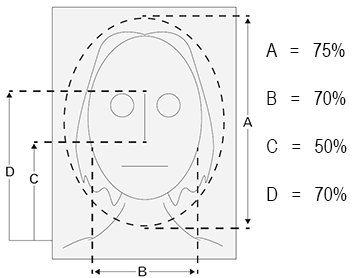 The subject is centred with the midpoints of the mouth and nose lying on an imaginary vertical centreline. Ensure there is a clear gap (visible background) around the entire head, including the hair and/or ears. 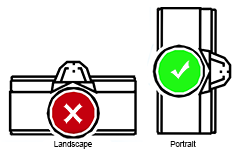 Rotate the camera or mobile phone for a portrait photo.